You don’t need therapy. You need Key West! Your babies need to run around all day long in nothing more than a diaper in the tropical island climate. Ahh! A family vacation to the Southernmost point of the United States should be all you need to right your mind, body, and soul. Fun, adventurous and relaxing destinations within this beautiful 4 square mile island in the Florida Keys will surely fill your memory box. In Key West, beaches are measured in feet rather than miles. The shallow, turquoise waters of South Beach draw in families looking for a fun place for their little ones to keep cool. Load up on sunscreen, and don’t forget the water wings. Kids can play safely in the knee deep water while you watch in close proximity with a frozen drink in hand. The popular Higgs Beach is another great option. As one of the few Key West locales that offers ample, and free parking, Higgs Beach provides many activities and amenities. There are kayak and paddle board rentals, snorkling gear and beach chairs. If the sun gets too hot, you are just steps away from a little shade in West Martello Tower. The nearby lush gardens were completely destroyed by Hurricane Irma in 2017. However, it has been entirely rebuilt and will provide cool relief for an hour or two of exploring and relaxing. The hardest part of vacationing in Key West, is saying goodbye. 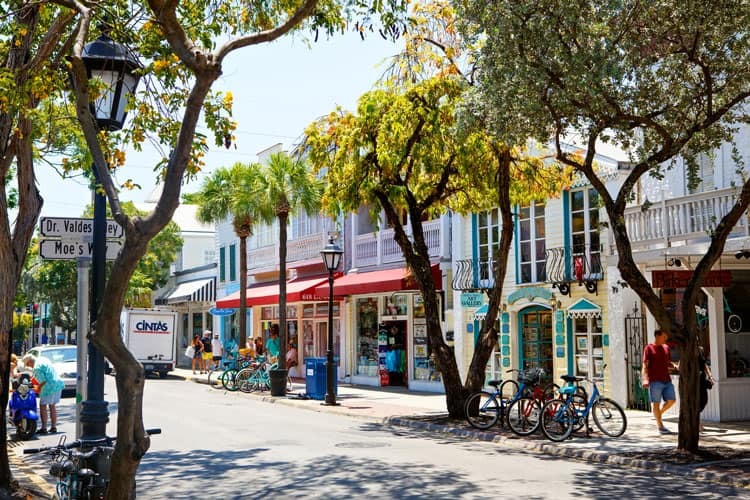 “My wife and I are from New York originally and lived there our whole lives until 4 years ago when we moved down here.” Melody Tognan relocated to Key West after she and her wife vacationed there and pondered what their life in Key West would be. 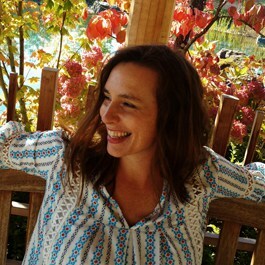 Now, a mom to Alaric, Melody blogs about her parenting adventures in Key West. 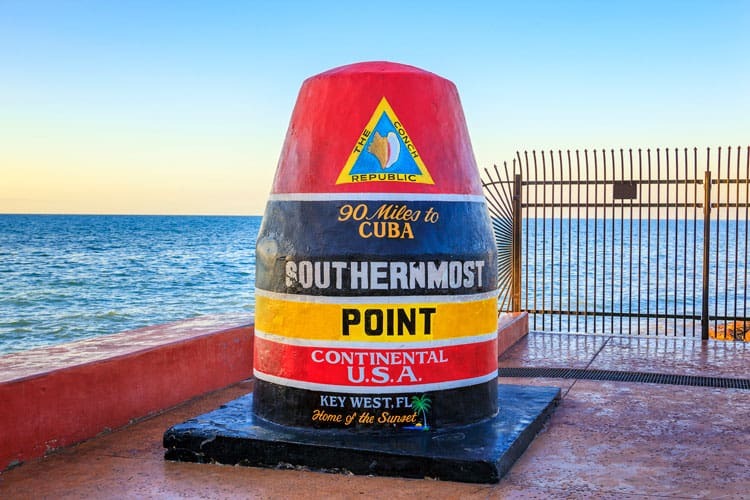 “As Key West locals, a few of our favorite, kid-friendly adventures include Fort Zachary Park, The Butterfly Conservatory, and a few choice restaurants. At Fort Zach the kiddos can play at a newly built waterfront splash pad, 2 different playgrounds, and even spend some time at one of our beautiful beaches,” according to Melody. “The Butterfly Conservatory is a fun little place to see different kinds of butterflies, baby quail, and even flamingos!” Be prepared to load up your smart phone’s storage. You won’t be able to stop taking photos and videos inside the Butterfly conservatory. Whether you’re staying at the luxury Marquesa Hotel, camping at Bahia Honda State Park, or renting a relaxing Airbnb, you’ll want to add Porky’s BBQ to your agenda. Breakfast at Porky’s Bayside Restaurant and Marina will keep everyone’s bellies filled up all day. The open air atmosphere allows you to watch the wildlife on the Marina. You’ll see them eat their meals while you wait for yours! Pulled pork, boiled shrimp, clam strips and all your favorites are on the menu. Try the deep fried key lime pie, because, “When in Rome…” and all that. Many of the hidden gems of Key West have an Ernest Hemingway history attached to them. 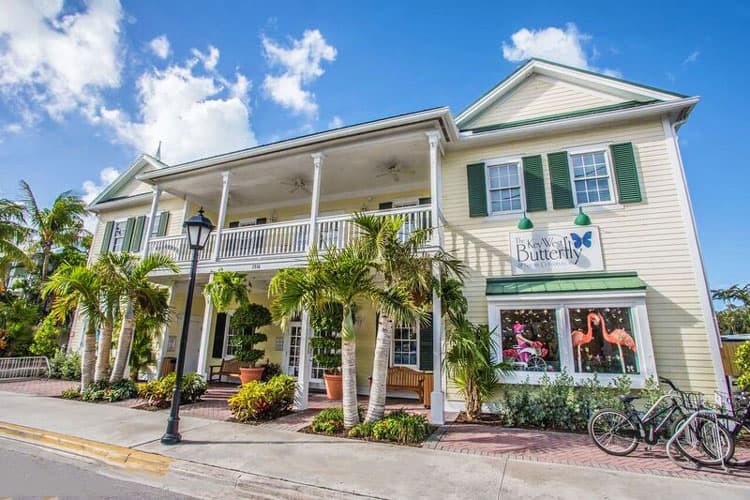 Bahama Village boasts many Hemingway memories and honors him even in present day. The author spent time as a resident of Key West. Many of his famous novels written during his decade there are filled with characters and settings inspired by the island. While the literary connection may be lost with the kids, isn’t everyone’s husband a history buff? Your tour de Hemingway can include his house, where he and his wife lived with their 6 toed cat, Snow White. Today, more than 40 cats with the polydactyl trait, some direct descendants of Snow White, reside there. Catch live music and dine on sauteed yellowtail snapper at The Blue Heaven Restaurant which was known as The Blue Goose Arena during Hemingway’s day. The celebrated author refereed boxing matches there. History buff Dads (we know they’re out there), will enjoy learning of the island’s origins at the Key West Shipwreck Treasures Museum. The kids will totally dig the artifacts and treasure from actual shipwrecks. Get your souvenir coins and jewelry for your trip home at the gift shop. 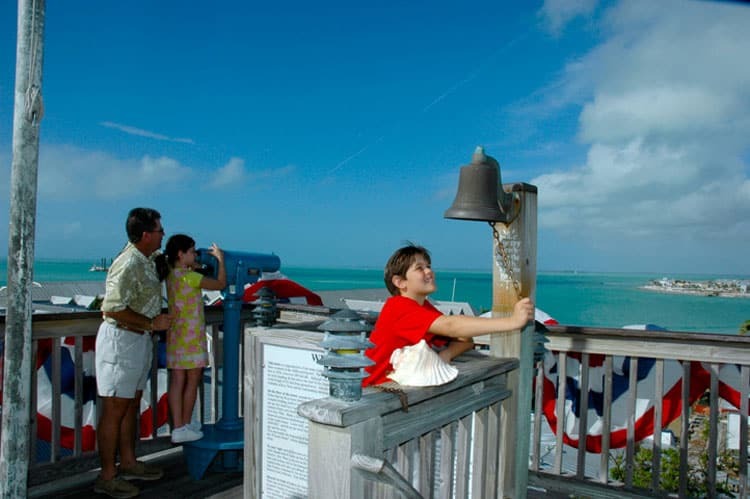 As part of a bundle attractions package that includes Hemingway house, The Shipwreck Museum finale is a tower climb for the ultimate view of Key West. Forgo the rental car, and rent a stroller instead. Parking is limited on the island. Traveling on foot, or even by bicycle is the preferred method of transportation, but all that walking and peddling can do a number on your feet. Reward your tootsies with famous Kino Sandals from the Kino Sandal Factory. Yes, you can buy them online, but visiting the actual factory where the sandals are hand made with quality leather makes for an experience unique to Key West. For less than 20 bucks a pair, you can walk in comfort all day and even knock out some of your Christmas shopping! Enjoy the sunsets, people watch, stroll the streets, take selfies, and bury your toes in the sand. A family vacation to Key West will do wonders for everyone’s state of mind. Angela is a hardworking wife and mother. She is a radio personality and a BabyQuip Quality Provider. She lives with her husband, Scott who also works in radio. Their five children are Lincoln, Sunny, Anthem, Braddock and Loxley. She lives in Lebanon, Oregon.